The SSCC is a forum for discussion between staff and student academic representatives. It’s a great chance to work closely with staff to improve students’ learning experience, and a big part of how together we make education better at UCL. The undergraduate SSCC is co-chaired by Ananya Samuel and Lena Fricker, and the full list of undergraduate SSCC representatives from all years is detailed here. 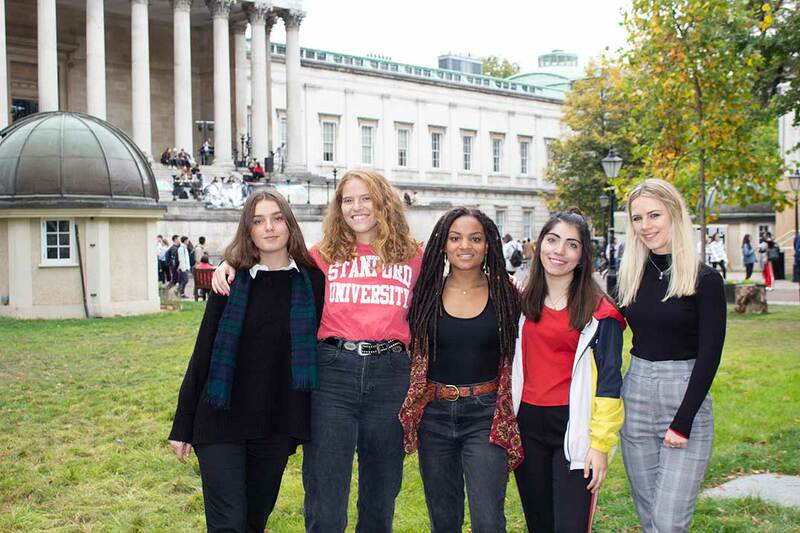 The Geographical Society (GeogSoc) is run by a committee of students from the Department and is responsible for arranging academic and social events during the year. The current president is Adwoa Amankona, but the roles and responsibilities in GeogSoc have recently expanded, and the full team is pictured below. The Equality, Diversity & Inclusion (EDI) Committee was established to ensure best practice across the department, for the benefit of all staff and students regardless of gender, race, sexual orientation, gender identity, disability, age, religion and belief. The committee grew out of the Athena SWAN Working Group which steered the department towards its Bronze Award in 2016.